Tom and Donna Notaro purchased Bear Feet cabin in 2014. In March 2016, we decided to consolidate our website, HomeAway, VRBO, and FlipKey/TripAdvisor listings under one site powered by MyVR. We are not a property management company, just private owners trying to better serve our guests' needs. When you call us on the telephone, we personally answer. Send us a message and we will quickly respond. Thank you again for considering our cabin for your Smoky Mountain vacation! 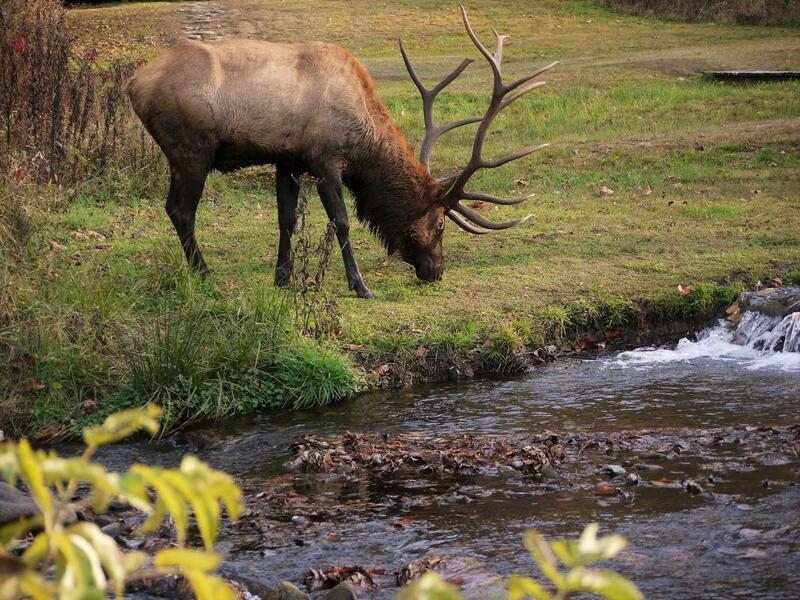 Your mountain getaway to the Great Smoky Mountains starts here! Gatlinburg is nestled at the entrance to Great Smoky Mountains National Park, the most visited national park in America. There are three entrances into the Smokies right from downtown. Gatlinburg attracts more than eleven million visitors a year and can grow to a population of 40,000-plus on any given night. This little town of 3,944 residents is dedicated to welcoming all of its guests with a taste of Appalachian hospitality at its best. Folks come from all over the world for vacations, outdoor adventures, family fun and memory making. Gatlinburg is one of America's great mountain resort destinations, with dozens of local-to-national restaurants and attractions galore – all nestled in the foothills and surrounded on three sides by the natural beauty of the Great Smoky Mountains. Gatlinburg prides itself on its walkability amidst mountain heritage and the arts, crafts and shops that reflect that tradition. Everyone enjoys walking the Downtown Parkway, which runs from one end of town to the other. It’s filled with a rich variety of things to see and activities to experience, places to eat, super shopping and attractions that boggle the mind. For a quieter stroll, take the River Walk and enjoy the cheerful song of the Little Pigeon River, with gazebos and benches along the way. Apart from the Downtown Parkway and connecting side streets, the East Parkway at Traffic Light #3 is dotted with shops and restaurants for about three miles. Anchored at the corner of East Parkway and Glades Road at Traffic Light #3A, you'll find the beginning of the Great Smoky Arts & Crafts Community. Home to over 100 shops featuring craftspeople and artists along an 8-mile loop, it's the largest gathering of independent artisans in North America. You'll discover one-of-a-kind crafts, treasures and artwork, and you can watch the artisans at work. Stop along the way and chat with a painter or potter, or let a broom maker show you how it's done. Once the sun sets, there's plenty of dining and entertainment downtown. From family fare to filet mignon, Gatlinburg's restaurants are always fixin' up something special. After dinner, enjoy a show. Take a trip back in time to the slapstick vaudeville comedy of Sweet Fanny Adams Theatre or check out the Mentalist show with hypnosis and magic. Grab a bench and people-watch. Or cruise up the Space Needle or Gatlinburg Sky Lift and enjoy the twinkling lights below. If you visit Gatlinburg in the spring, bring both short sleeve shirts and a jacket, because the days and nights can be very warm or cool. March has the biggest variations in weather. It could rain or snow any day, especially at higher elevations. By the middle of April average temperatures range from the 70’s during the day to the low 40’s at night. By May highs sometimes reach the 80’s or may drop as low as the high 30’s. By mid-June expect hot days and high humidity. Average temperatures reach the upper 80’s during the day and drop into the 50’s at night. A great way to cool off during the summer is to spend the afternoon tubing down a lazy mountain stream. Or if you’re the adventurous type, take an exciting white-water rafting trip with one of the local Great Smoky Mountain Rafting companies. For a couple of weeks after Labor Day it is usually still warm enough to wear shorts, but it starts getting cooler by the middle of September. Be sure to bring a jacket for the cool mountain nights. By October the temperatures start dropping and the leaves start turning…bringing visitors to the Smokies to see the mountains in all their vivid colors. By mid November you may see some light snowfall in the higher elevations around Gatlinburg. Be sure to bring along your jacket and a heavy coat, but bring along some lighter clothes as well. Temperatures occasionally reach the high 70’s.